High speed camera systems are now readily available, but all systems are not equal. 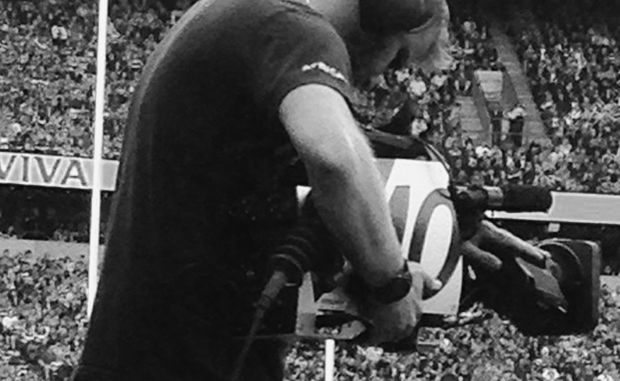 Say you want to enhance your live TV coverage of a sporting event with slow motion. For some time now, the only alternative to standard 25fps based replays would have been replays from supermotion 75fps cameras manufactured by Sony or Philips. However, a couple of years ago, high speed HD cameras originally designed for industry appeared, and with integration packages were quickly put to use providing so called Ultra-Motion replay facilities. The majority of these cameras were based upon either Phantom (US) or Photron (Japanese) industrial single chip C-MOS cameras. Another manufacturer, NAC, produced 3 chip variants, although these were not capable of full 1080i resolution at the higher speeds. There have been some limitations with previous systems in this field, and these should be considered when looking at their potential use. Firstly, storage is inbuilt camera RAM. At 1000fps, this gives a record time of around 10 seconds (1080i resolution). Secondly, to get that incredible replay, you need to be shooting at very high speeds. However, for inclusion in a replay sequence, say after a goal, this process is just too slow. Finally, at high speed you need a good light level. On a dull day or in the evening, you have to lower the shooting speed to get noise free images. So, you want to give your viewers ultra-motion replays, but have not got the time to get them in. You already have 75fps (1/3 speed replays) but you want a more detailed replay have no fear the revolutionary X10 has arrived. This is the latest cutting edge camera technology from R&D company I-MOVIX in Belgium. Based upon a modified Phantom 642 camera from Vision Research, shooting speed is a fixed 250 fps, replaying at 1/10 speed - significantly slower than standard super-motion, but not too slow for inclusion in your live broadcast. All limitations mentioned above are addressed as the X10 streams all images directly into the industry-standard XT3 server, using 10 record channels and giving some 16 hours of storage. This gives all the advantages of getting images instantly into the EVS workflow, and operation is from a standard EVS remote controller. As you are shooting at 250fps the camera is more sensitive than when shooting at higher speeds. To have the latest high speed wizardry in your show look no further than I-MOVIX X10, available for rent or purchase from UK distributor Editec Ltd.